Just received another blood tester ... 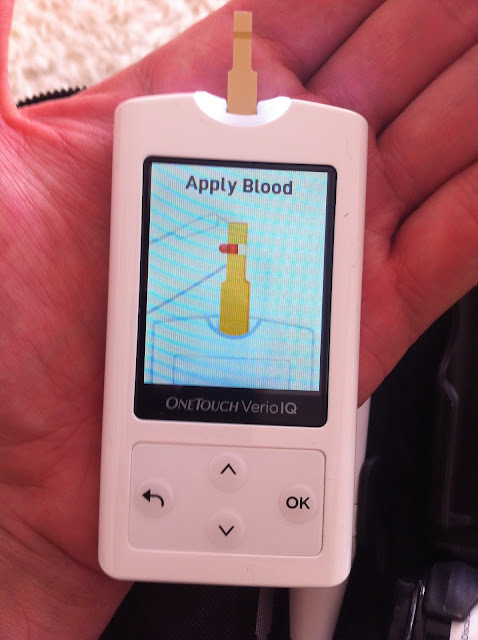 The One Touch Verio IQ ... Quite impressed at fist glance ... Looks good ... Easy to use ... Rechargeable ... Great case ... With post a video later ... And also the cons on the iBG STar tester ... Not as practical as what I had 1st thought ... I have gone through so many testers but always resort back to the one touch ultra which I was 1st given when I was diagnosed 5 yrs ago ... Will this be the one that sends the one touch into retirement ! Nice gadget, very portable. I hope it is not very expensive.